“The Fall of Gondolin,” — the third part of the J.R.R. Tolkien great trilogy of tales of the Elder Days — is now available in bookstores. Readers and fans may feel gratitude that J.R.R. Tolkien wrote enough and kept enough notes to continue to supply content close to fifty years after his death and that his son continues to have the will and ability in his elder years to collect, prepare and produce further content. I wish I could thank him in person. We are living in the decade when Tolkien’s writings are more prolific, available and recognized than ever before. It was published simultaneously in several languages by numerous Tolkien publishers worldwide, in the U.S. by long-time Tolkien publisher Houghton Mifflin Harcourt. 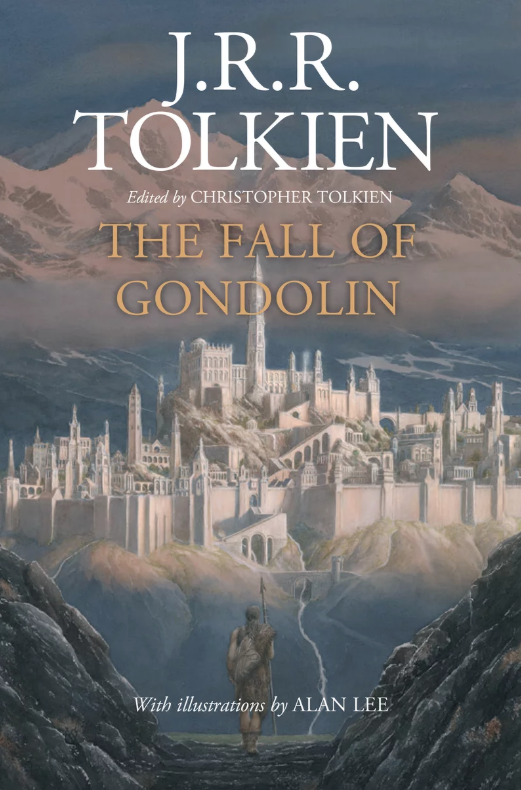 “The Fall of Gondolin” takes readers back in Middle-earth’s history considerably before the most commonly known events in “The Lord of the Rings,” and “The Hobbit,” to an era when Sauron wasn’t the great power of evil in the world; his predecessor Morgoth and his fortress of Angband were. Opposing him is Ulmo, a heavyweight Valar, the group who shaped and ruled the earth. Ulmo secretly supported the Elves. Gondolin, the city of Noldorin Elves, was magnificent and undiscoverable by Morgoth’s forces and therefore untouchable by him. It isn’t a spoiler to say that the “Fall of Gondolin” is about the betrayal and discovery of the city and the war from Morgoth’s armies in Middle-earth’s First Age. Tuor, is aided by Ulmo, who even appears to him from the sea — a moment that is famously the subject of notable artwork. The book is published to fit the look and style of the others in the great trilogy of stories. It is edited by Christopher Tolkien and illustrated by Alan Lee. It may be the last published. The book is $30.00 in hardcover and is available as an e-book.